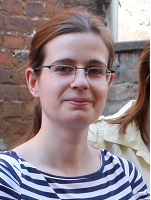 Franziska Desch is a doctoral fellow at Topoi. She studied ancient orientalistics at Freie Universität Berlin. Her thesis is part of the program History of Ancient Sciences (HistAS) by the Berlin Graduate School of Ancient Sciences and investigates the classification of medical plants which where mentioned in medical cuneiform inscriptions, in order to improve our understanding of ancient ideas of illness and healing.